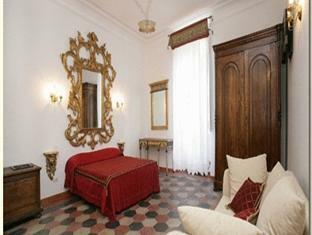 ﻿ Navona Governo Vecchio Guest House Rome. JIMAT di Agoda.com! Ada soalan mengenai Navona Governo Vecchio Guest House? Terletak di tengah-tengah Navona, Navona Governo Vecchio Guest House merupakan tempat yang sesuai untuk meneroka Rome. Dari sini, tetamu boleh menikmati akses mudah kepada semua yang bandar meriah ini boleh tawarkan. Untuk pilihan bersiar-siar dan tempat daya tarikan tempatan, pelancong tidak perlu pergi jauh dari hotel kerana ianya berdekatan dengan Boutique Mercurio, Beads Shop Rome(R), Oratorio dei Filippini. Ambil kesempatan daripada pelbagai perkhidmatan dan kemudahan yang tiada tandingan di hotel Rome ini. Hotel ini menawarkan Wi-Fi percuma semua bilik, simpanan bagasi, Wi-Fi di tempat awam, pengangkutan lapangan terbang, bilik keluarga untuk memastikan tetamu menikmati keselesaan yang terbaik. Semua bilik tetamu menawarkan pelbagai jenis tahap keselesaan. Banyak bilik turut menyediakan televisyen skrin rata, internet wayarles, internet wayarles (percuma), bilik larangan merokok, penyaman udara untuk memuaskan hati tetamu. Di samping itu, pihak hotel menawarkan aktiviti rekreasi untuk memastikan anda mempunyai perkara untuk dilakukan sepanjang penginapan anda. Dengan lokasi yang ideal dan kemudahan sepadan, Navona Governo Vecchio Guest House sangat memuaskan hati. Great location for a few days in Rome. Front desk is very helpful from pointing out good places to eat or recommending walking paths to printing out boarding passes. Rooms are cozy with all the essentials and an optional breakfast-in-bed. Anything you could want from a grocery store to the best gelato is less than a block away and most tourist attractions are within a 30 min to 40 min walk. Only downside is climbing a few sets of stairs at the end of the day, but it balances out eating all the pastas, pizzas, and gelato! Perfect location to walk everywhere. It was an easy ride in the bus to the hotel from Rome Termini. We had a great stay in Rome and a wonderfull time at Navon Governo Vecchio. Very kind and fast service, claen and comfortable rooms in the absolutely best area of the city. We would recommend this place and definetly return when next time in Rome. Our stay was amazing, I arrived late so I called him when I got there and he buzzed me in and met me with the keys 5 min later. The office is on the 4th floor so when ever we needed something there was a receptionist there to help us. Overall, the location was perfect, the staff were sweet and very helpful and the room had just been newly renovated and was a lot bigger than I expected. The bed was very firm and springy so prepare yourself for that, as well as the wifi in the whole building was acting up so we were without wifi for the first couple days. Would not suggest for families, only couples & travelers. Location- close to Everything and some really excellent restaurants located on the same street as the guesthouse. Friendly, helpful staff. Wi- Fi in room and great air-con. Fabulous stay- perfect location and helpful staff. Very pleasant stay with all things we need. Staff are friendly. Well arranged airport pickup limo service. 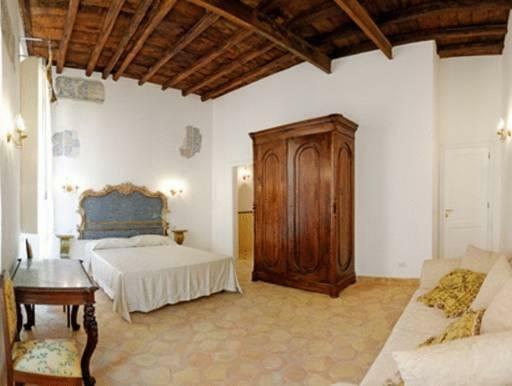 The guest house is on the fourth floor of an old Roman apartment building. You enter a sloping hall. Before you climb the stairs, look to your right. The unlabeled black door is an elevator. The guest house is so small that you pass the reception whenever you enter and exit. There are two beautiful painting above the reception desk, which you might not notice for all the business clutter. That said, you can have instant answers for all your questions because of the proximity. The rooms and hall appear to be professionally decorated. It's quite lovely. We were very happy with it. It's one street back from the main street that crosses Rome, so it's easy to either walk or take a bus anywhere yet you don't get the busy street noise. We walked to the Vatican, Spanish Steps, and the Colloseum. It's very close to Piazza Navona. This is a small guest house and at first I couldn't find the entrance since it is just like one of the residence for local people, which gave me the feeling that I'm also living there. I really enjoyed that. Breakfast was also nice. The staffs are also very friendly and helpful. The thing I liked the most is location. 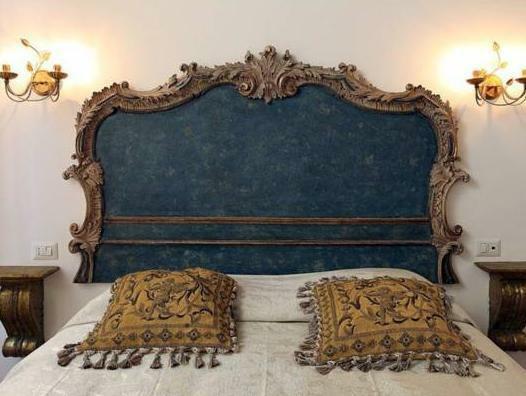 Sometimes it's tiresome to walk around all day long, but this guest house is located near the Piazza Navona, and you can take a rest at a nice room for a while and again head for interesting spots. i really enjoyed staying here. i definitely come back when i visit rome again! Buono, ma bisogna uscire per andare a fare colazione in un altro hotel a dieci minuti a piedi e questo è scomodo. Si può prenotare la colazione in camera ma con largo anticipo la sera prima e noi alla fine non ne abbiamo usufruito. Il giorno prima ci è stato comunicato che l'hotel prenotato era pieno e, quindi, sarei stato spostato in Antica Dimora Delle Cinque Lune, peraltro più distante dalla zona dei miei impegni lavorativi. La mia stanza non era raggiunta dal segnale wi-fi e la spremuta d'arancia richiesta con pagamento aggiuntivo non è mai giunta (ma solo un banale succo). Il prezzo pagato di 169 euro è decisamente superiore alla media e per nulla giustificato, se non dalla scarsità di offerta nel periodo. Unica nota positiva solo gentilezza e buona volontà dei giovani addetti presenti nella struttura.